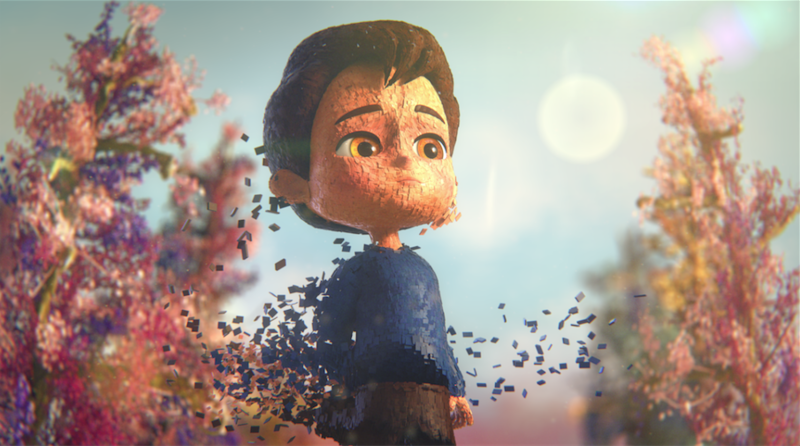 The emotional animated short film shares a true story about a disabled boy called IAN. This award-winning film produced by Oscar winner Juan José Campanella’s Buenos Aires-based animation studio, took home the top prize at LA Shorts International Film Festival and several major international awards. The film is based on Ian, a young Argentinian boy who suffers from cerebral palsy. He can only talk with the help of a machine and was teased daily when he visited his rehabilitation center by children from a nearby school. His mother went to the school to tackle this issue and found the school had no tools to teach the children that bullying is wrong, so she wrote a book aimed at children, about a disabled boy. Penguin published this inspiring book, which is simply titled, Ian. Director Abel Goldfrab was born in Buenos Aires in 1979. He studied Film Direction at the prestigious University of Cinema (FUC) in BA. At the tender age of 17, he won his first screenplay contest. Since 2010 he has worked with Oscar winner Juan José Campanella and has been a lecturer since 2004. Writer/Producer Gastón Gorali is an award-winning author, screenwriter, and producer. He produced and co-wrote the animated film Metegol. He has created, written and produced Films, TV shows and illustrated novels for Universal, Fox, Discovery Kids and Penguin Random House. He’s co-founder of Mundoloco CGI Animation Studios. Latin-American filmmaker Juan José Campanella has written, directed and produced box-office hits, like “The Son of the Bride”, “Metegol”, and Academy Award winner “The Secret in her Eyes”. He is also a two-time EMMY award winner.